Everyone has either done it, is doing it, or wants to do it. We’re talking about smoking. It’s easy to start smoking but, as the smokers amongst us know, it’s very difficult to stop. While all of us are inundated with the horrifying facts about smoking, the truth remains that most smokers simply sweep this information under the carpet, and continue enjoying this habit, even if it means taking a step closer to death with every puff of smoke. Despite my resolve not to share the gory details about how smoking is affecting the world population at large, and the Americans in specific, I think it’s time we faced some truths. 1. Did you know that cigarette smoking is the single most known reason for premature deaths in the US and across the globe? Believe it, more than 440,000 Americans die each year due to diseases caused by smoking cigarettes. 2. The US spends more than $150 billion on health care cases related to smoking alone, every year. This figure is likely to increase year after year. 3. Did you know that when you puff on a cigarette you breathe in 4, 800 chemicals out of which 69 are responsible for causing cancer? 4. It’s not just the men who suffer health consequences from smoke, almost 40% smoking-related deaths happen in women. 5. Americans spent over $90billion on products containing tobacco in 2006 out of which approx. $84 billion was spent on buying cigarettes, while $3.4 billion was used on cigars and the remaining $2.5 billion was paid towards buying chewing tobacco or smokeless tobacco. 6. Can you guess how many cigarettes were sold in the US in the year 2009? 315 billion, that’s how many! Needless to suggest, that smoking is like a virus that is slowing eating away at the country’s economy, the health of its citizens, as well as their well-being. However, there is hope for those of you who have been trying to stop smoking, but haven’t managed to despite trying all the nicotine patches, gums, and what have you. That ray of hope has come in the form of nanotechnology. 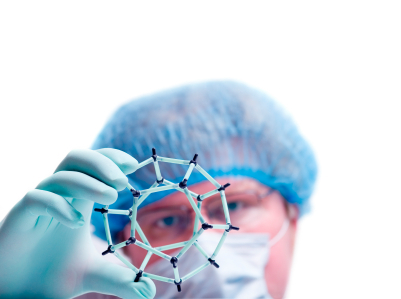 One of the fields where nanotechnology can contribute the maximum is medicine. This is especially true case of in diseases caused by first hand or second hand smoke, which is also one of the biggest reasons for early mortality in developed and developing countries. The main culprit is tobacco tar that reduces the lifespan of the smoker. However, now with the help of nanotechnology, it may be possible to remove tobacco tar from a smoker’s lungs, helping him/her live a higher and longer life. Nanotechnology is a technology that uses very tiny particles like 1 billionth of a meter in size. Nanometer is the scale used to measure these particles and to make it easier to understand, let me give you an example. 1 nanometer or nm = 3 atoms (approximately). Clearly nanotechnology has the capability to manipulate elements (energy etc) at the level of molecules quite successfully. Due to its versatility, nanotech can be used for many things but, its applications in the field of medicine would be most useful to the world. Also known as ‘nanomedicine,’ this breakthrough will especially play an important role in treating diseases that the doctors have not been able to treat previously. And one such application would be to remove the tobacco tar from a smoker’s lungs. 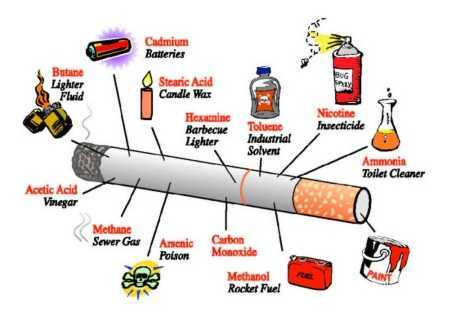 Over the years, as you smoke, these chemicals form a coating inside your lungs along with the tobacco tar and cause diseases ranging from cancers like lung (affects 90% smokers), mouth, and esophageal, to Atherosclerossis or stiffening of arteries, to Coronary Thrombosis (blood clots in vessels carrying blood to the heart), to Chronic obstructive pulmonary disease or COPD (insufficient airflow leading to breathing difficulty) etc. Now it is a known fact that smoking causes certain types of cancers and the most common of them all is lung cancer. However, with there being a 20 years window (from the time you start smoking to the time you are likely to develop cancer) the use of nanotechnology to remove cigarette tar could well be the vital link to help people stop smoking. Why is this viable proposition? Simply because lungs have the ability to self- clean. And once the tar is removed from the smoker’s body, the effects of the cleaning process will be visible in a few days. That being said a smoker’s lungs may require 10-15 years to become pink once again. So, I’d like to say that if by using nanotechnology doctors can remove tar from the lungs of chronic smokers, it would be a major breakthrough in prevention of the occurrence of the ‘king of maladies.’ Are you willing to use nanotechnology for your own good? What is Surface Micromachining and What is it Used For? If you’re familiar with science, microbiology and micro-science applications there are many complicated words, surface micromachining, and procedures you’ve heard in relation to the smallest items in the world that are changing the face of science and the face of how we go about our daily lives. But a far cry away from those words are the ones that explain the process of creating those applications and items that are changing the world. Micromachinery, and MEMS, also known as Microelectromechanical Systems, are both created for scientific purposes through a process called surface micromachining. The simplest method of describing exactly what this process does, however, is to say that the process creates thin and incredibly tiny micromechanical objects and devices on an even thinner layer of silicon substrate or substrate made of other material. As a part of the field of nanotechnology, this process is important in creating many small MEMS and micromachinery that otherwise would not be able to be created in a fashion befitting practical or even scientific application—this inability to use the technology would be due to cost, but mass production and mass testing with glass and plastic substrates has allowed scientists to test micromachining without wasting resources or funds. Creating micromachinery and MEMS through the process of surface micromachining is no easy task and requires several layers of substrate and whether those layers are made of silicon or other materials, many layers are still required. In bulk micromachining the substrate may be replaced with glass or even plastic to bring down the costs of production, but in smaller amounts and especially for testing phases, it becomes increasingly important for the substrate using in this process to be made of the high end, more expensive silicon. If you’re looking for an in depth introduction to nanoscience you might want to consider taking a college course, as there are nearly limitless ways to be introduced to this incredible science. A strong introduction to nanoscience includes understanding the very basic idea of the particles that are used in this nearly infinitesimal science. The particles used in nanotechnology are nearly immeasurable to most of us. This science is a commitment to the pursuit of the smallest particles imaginable in order to create practical applications for these particles. In some cases, medical advancements, technological wonders, and life enhancing products are turned out through the use of nanotechnology. Nanotechnology is not simply s dedicated science that is solely devoted to its own discipline. Scientists from all disciplines have to experience at least a small introduction to nanoscience in order to do well in their own disciplines. This is because there is no limit to the potential help that nanoscience can bring into the world. It can span into biology as fast as it can filter into robotics. Nanotechnology is the basis of creating all things in a better way through the use of molecular materials that are smaller than the size of an atom. There is a great deal of conjecture when it comes to the nanoscience. Some scientists completely embrace every change that it could possibly bring to our lives while others cite the idea that nanoscience will one day be responsible for the destruction of the planet via self replicating robots engineered with nanoscience that will wipe out humanity. Perhaps it is those who cite the middle road that are most accurate. 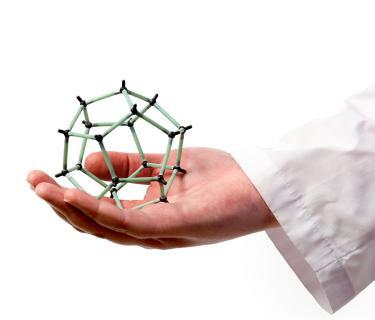 We have already experienced the benefits of nanotechnology in our daily life as well as a host of medical benefits. The introduction to nanoscience is still in play even for the nanoscientists. This technology is very new and the potential for changes in our daily lives has not even been slightly tapped. With every new development and every new discovery the potential for nanoscience to evolve even more into our daily lives increases. This could mean that we will one day actually see materialization happen. From a scientific fantasy on Star Trek to a potential reality, the idea of being able to order up an item of interest and watch it materialize in front of our eyes is really quite intriguing. Not all members of the worldly community believe that this would be a positive development. The very simple but incredible reality of nanoscience is that the more we can understand and manipulate the absolute tiniest of particles the more we can enhance our world. We can start to create microprocessors so small that we can install computers inside the human body in order to keep failing organs alive long enough to wait for a donor. We can save money by having a very removed need for replacement of every day products, including our cars. This is the potential of nanoscience. A true introduction to nanoscience would involve a human body examination as well. Our bodies are nature’s proof of nanoscience. Since we are all created from atoms, and nature has figured out how to manipulate these atoms into the various body parts that make us whole, nanoscience is really quite simply the same manipulation taken over by human minds. It’s truly remarkable what can be done with the basic building blocks of the universe when human beings start to manipulate them.